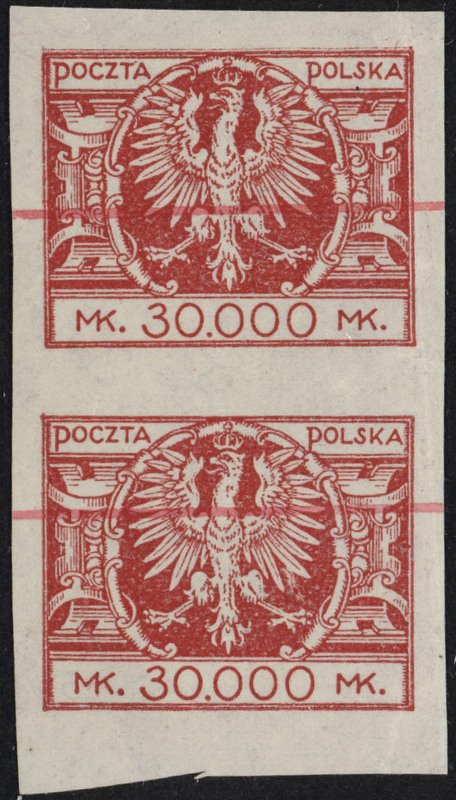 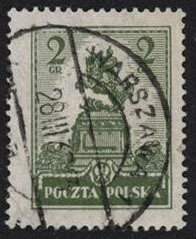 Scarce, VF, Canceled, Proof of 1919 2 Gr Warsaw Provisional issue bearing a Test 25 fen overprint. 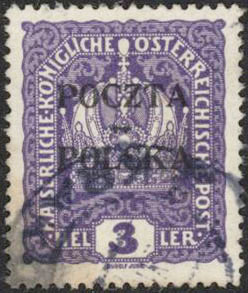 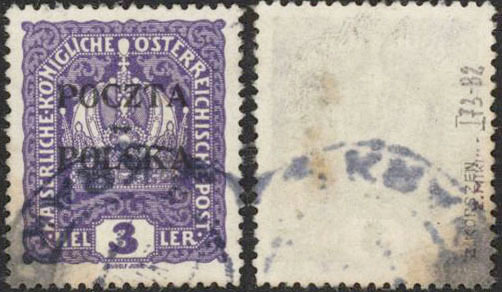 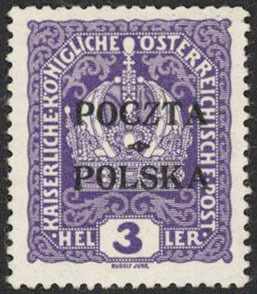 When this emission was released for usage the 2 Gr value was issued with a 5 fen overprint. 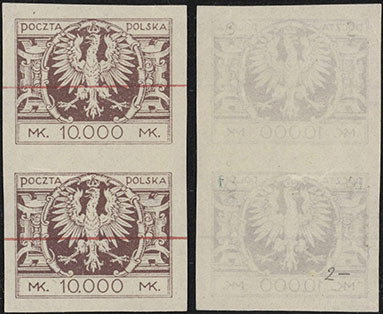 The 10 Gr value was overprinted with 25 fen. 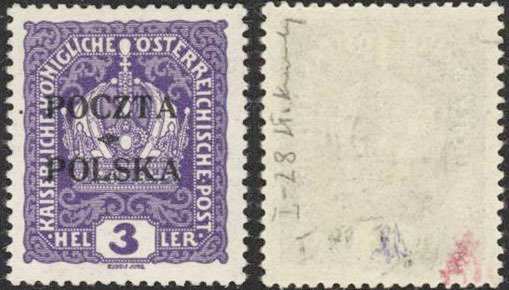 J Berbeka Color Certificate. 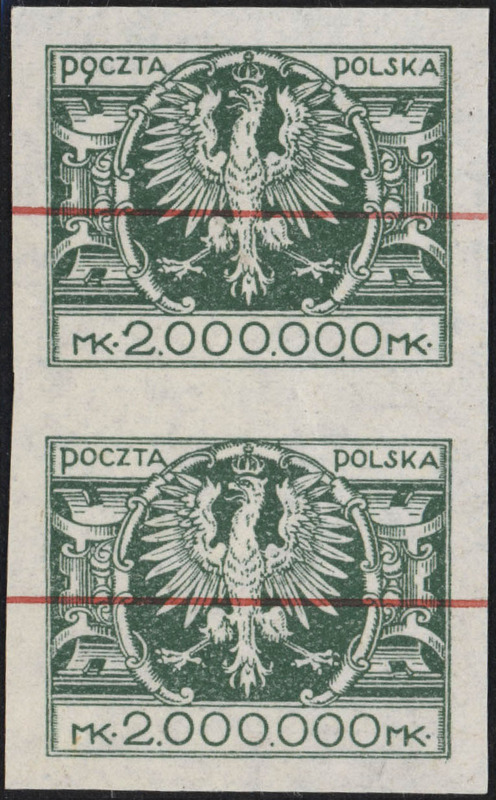 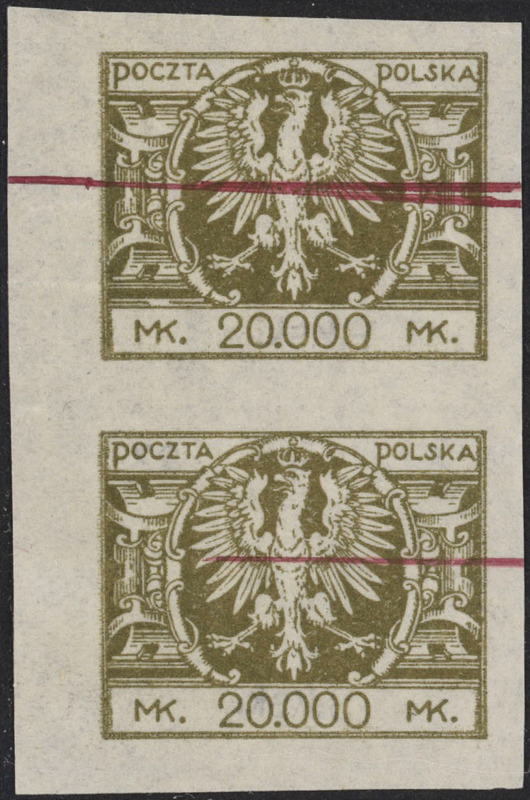 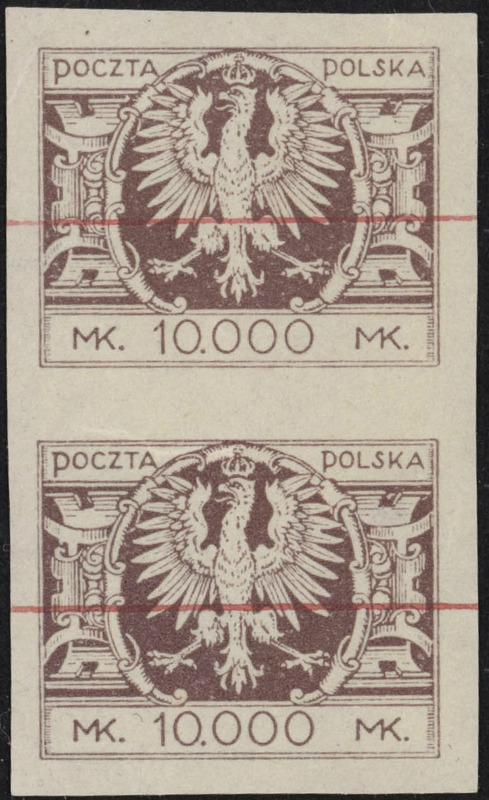 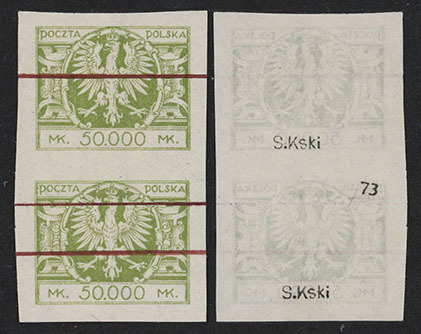 1919 Krakow Overprint, 5h light green, Form I-99, Used on piece, VF, signed by Z. Korszen with his Cert 102/06. 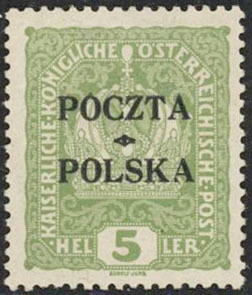 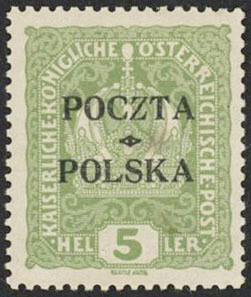 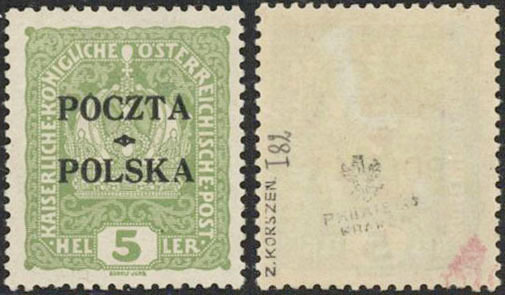 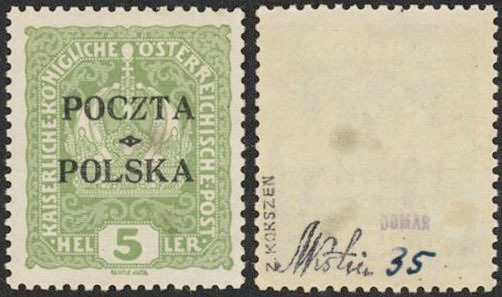 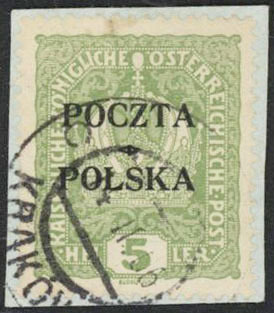 1919 Krakow overprinting, 5h light green, Thin Z variety, Form I-35, MNH, VF with exception of two small discolored dots in gum, signed by Mikstein and Z. Korszen with Korszen Cert. 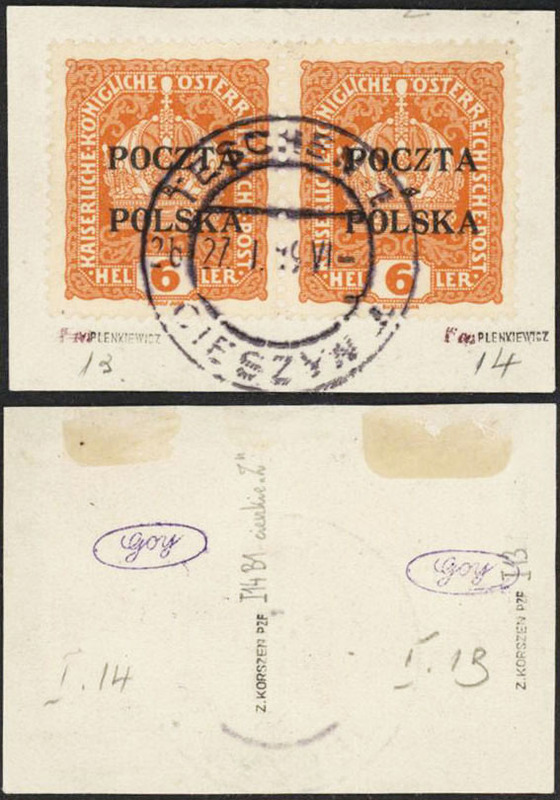 Thin Z variety, tied to piece by 27 VI 19 Cieszyn Bi-lingual CDS, signed by Z. Korszen. 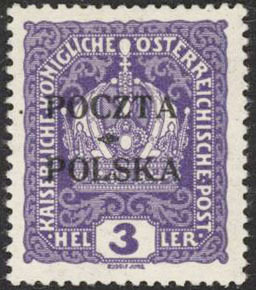 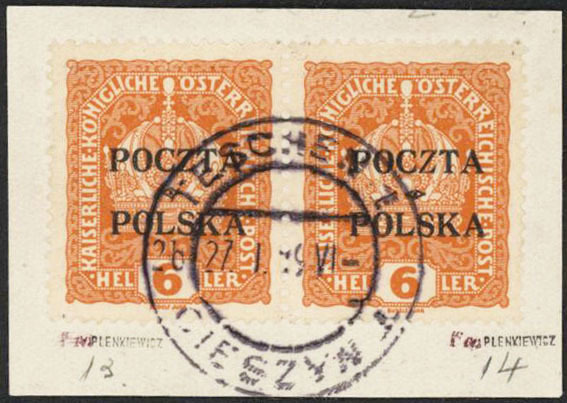 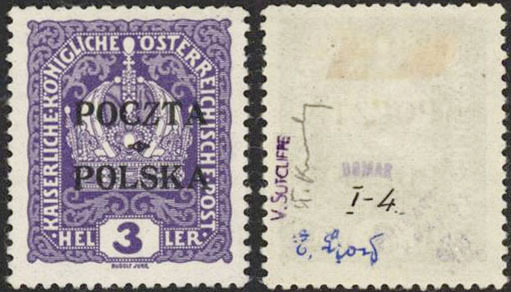 1919 Krakow Provisional Overprint, 6h orange, Form I-52, VF, Used bearing 4 II 19 Krakow CDS, signed by Dr. Kronenberg. 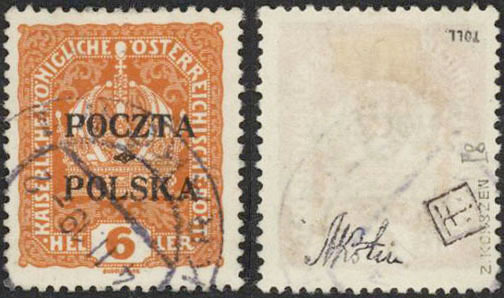 Rare, VF, MLH, Carmine Red color Error. 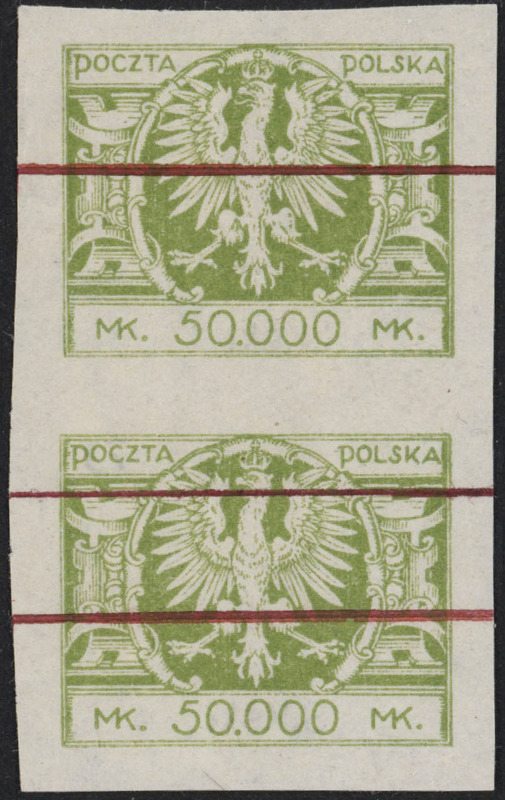 J. Walocha Color Certificate. 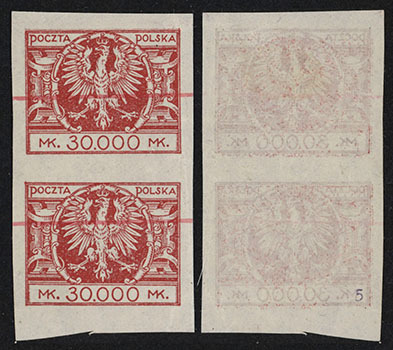 Scarce, VF Pair of Printers Proofs Mint as issued without gum. 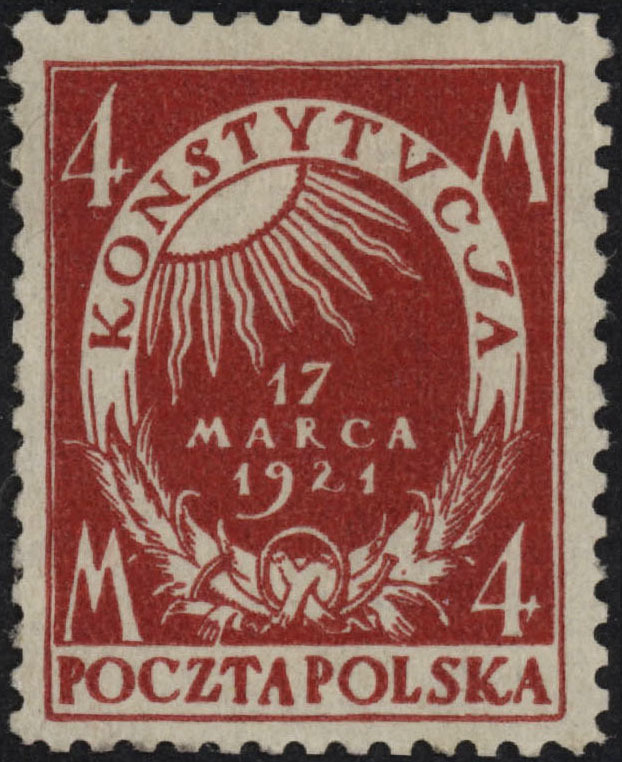 Invalidated for postal use with a line of red ink by Printer before submission for approval by Polish Post. 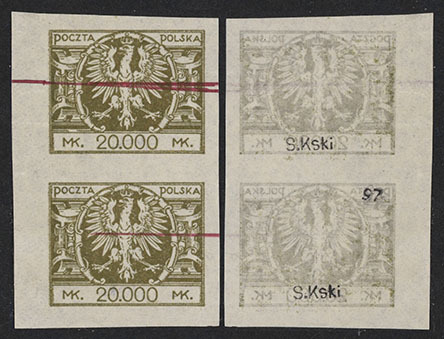 Scarce, VF Pair of Printers Proofs Mint as issued without gum. 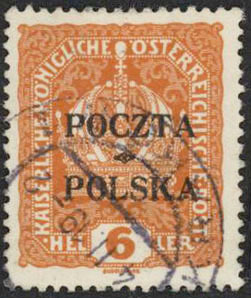 Invalidated for postal use by printer with line of red ink prior to submission for approval by Post. 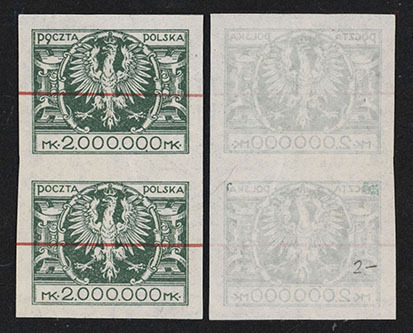 Scarce, VF Pair of Printers Proofs Mint as issued without gum. 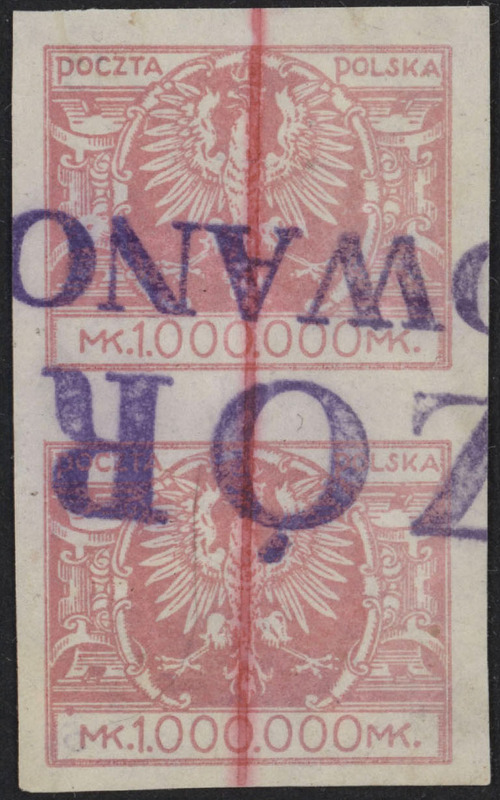 Invalidated for postal use by the printer with a line of red ink prior to submission for approval by the Post. 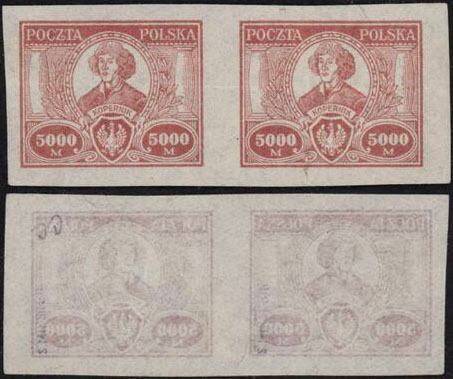 J. Walocha Color Certificate. 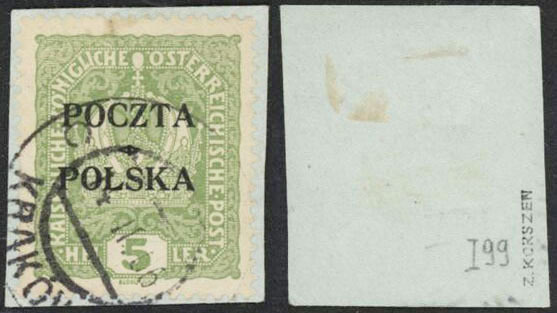 Scarce, VF Pair of Printers Proofs Mint as issued without gum. 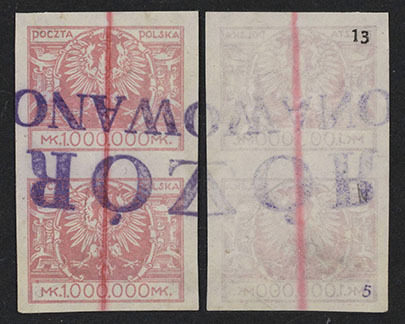 Invalidated for postal use with portions of very scarce violet WZOR (proof) and SKASOWANO (canceled) hand stamp plus a line of red ink. 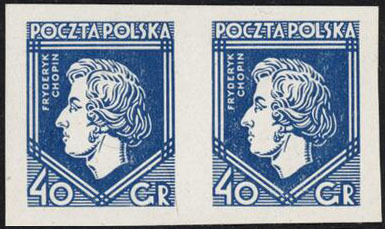 These stamps were submitted for approval during the pre-production printing phase. 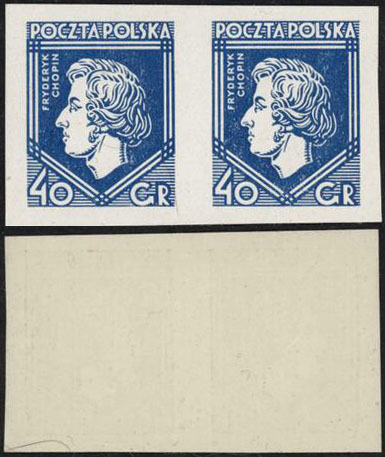 Scarce, VF Pair of Printers Proofs Mint as issued without gum. 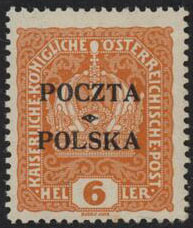 Invalidated for postal use with a line of red ink by the printer before being submitted to the Post for approval.